NFC tag supplier TagAge has launched a new version of its NFC Developer Kit, designed to provide NFC application developers with a way to easily test a range of different types of tag. 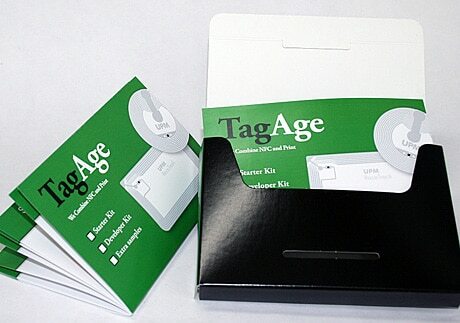 Tagage was established in 2009 by printing firm Hansaprint and tag maker UPM RFID, which is now part of Smartrac. The company now delivers blank and custom printed NFC tags to more than six hundred customers around the globe, Tagage’s Taisto Junkkari has told NFC World.